Tonight is a big night for Raw; the new General Manager of Smackdown! will be name, and a WWE Championship Match will take place! As well, tomorrow is the start of Smackdown! going live on Tuesdays, so the final push to promote that show, which contains the Draft, will happen as well. The fan in me is genuinely-excited, but my long-time knowledge/recollections of these type of shows is a little skeptical. Let’s hope both shows reveal some surprises and generate new momentum; read on to find out! 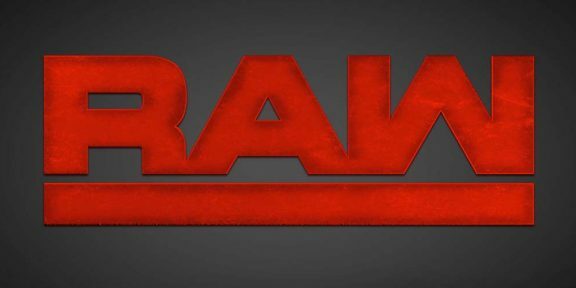 The regular Raw video plays, the pyro goes off in the arena of Providence, Rhode Island, and we are acknowledge by Michael Cole, Byron Saxton, and John “Bradshaw” Layfield. They go over the rules of tomorrow’s Draft on Smackdown!, which show that Raw gets three picks for Smackdown’s two; six NXT wrestlers will be called up; a Tag-Team counts as one pick unless the Commissioner only wants one member; and Raw gets the first pick. Lillian Garcia asks us to “welcome” the new Commissioner of Raw, Stephanie McMahon. After she makes her entrance, Shane McMahon – the Commissioner of Smackdown! – interrupts. The siblings engage in some bickering about who is better and which brand will be better. Stephanie announces that their will be a Cruiserweight Division on Raw too, due to the success of the Cruiserweight Classic that airs Wednesday nights on the WWE Network. Shane talks about his General Manger, and the fans chant “Yes, Yes, Yes!”, but Steph interrupts and brings out her Raw General Manager … former WWE Champion and now Hall-of-Famer Mick Foley! The beloved wrestler makes his return to a raucous ovation. He shakes both Shane’s and Mick’s hands, but holds off on Stephanie’s; she sneaks a hand-slap anyway. Bryan tells us that Shane’s selling on Smackdown! being an “underdog” and all about the wrestling made Daniel agree to be the G.M. Stephanie berates him for this, and Shane interjects to squabble with her again. Bryan concludes this with a “Yes!” to making Smackdown! the best! Cesaro and Jericho start, with Cesaro gutwrench-suplexing Chris. Sami is tagged in, but is clamped in a side headlock and given a shoulder-block. Zayn avoids “Y2J” and armdrags him a couple of times. He chucks Chris to the floor and goes to run, but Owens blocks him on the apron. They jaw, allowing Jericho to hit Sami in the back; Owens switches in and stomps away. Jericho is now controlling Zayn, and throws him to the outside. Kevin tries to go after, but Sami chucks Owens into the barrier. Chris goes for a baseball-slide, but Zayn moves and makes the hot-tag to Cesaro! “The Swiss Superman” is all over both Owens and Jericho, uppercutting them both a few times in opposite corners. Cesaro tries the Big Swing, but Jericho reverses into a modified-victory-roll for two! Cesaro hits a springboard-tornado-uppercut, but eats an enziguri soon after. Both Jericho and Cesaro tag-out, and Owens and Sami furiously punch each other. They trade moves, and as Sami goes for the Helluva Kick, “Y2J” blind-tagged Owens. Zayn did the same thing, and Cesaro and Jericho reverse each other. Cesaro turns The Walls of Jericho into The Big Swing, but is pushed by Owens into Sami, who tags himself in. Zayn soon reverses a roll-up into an inside cradle to receive the victory! Daniel is chatting with The Golden Truth, and likes Goldust’s talk. He is greeted by Titus O’Neil and Jack Swagger, and then met by Stephanie McMahon; they continue to verbally joust each other. Del Rio is aggressive early, focusing on Darren’s left arm. Alberto runs for an enziguri, but Young ducks and then hammers away with fists and a clothesline! He catches Del Rio off a run with an overhead-belly-to-belly suplex. Miz hops the apron and distracts, but it doesn’t help, as Darren rolls up Del Rio with a bridge for the 1 – 2 – 3! Later tonight, Sasha Banks and Becky Lynch will wrestle Women’s Champion Charlotte and Dana Brooke. Tag-Team Champions The New Day strut out, and also make fun of The Club, and explain “How you doin’?” to John Cena. The lights dim and The Wyatt Family enters; the Twelve-Man Match is next! Cena and Anderson were going at it, but Karl tags Rowan, who quickly switches with Luke, who soon tags in Braun, who puts Big to the canvas. Enzo tags himself in and runs around the ring while Xavier plays his trombone. Amore tags his partner, and Cass and Strowman face-off. Braun then pushes Cena off the apron, and the two sides hit each other! The ring is emptied and Cass and Braun square off again. Cass boots Braun, but Kofi tags himself in and soars off the top turnbuckle with a crossbody, however Strowman (almost) catches him, and powerslams him to the mat! Bray and Cena wrestle, and John is scared by Bray’s “crab” pose, which lets Wyatt hit a clothesline on Cena. The heels team-up on John for a while. Wyatt tries a splash, but John rolls. He makes the hot-tag to Cass, who is all over A.J. until Braun hits Cass. Kofi is in and gives Braun his Trouble In Paradise spin-kick, and Big E. follows with a clothesline! New Day and The Wyatts fight to the back, leaving The Club and Cena, Enzo, and Cass. Enzo goes for a clothesline on A.J., but “The Phenomenal One” ducks and Amore hits John! Styles capitalizes with his Styles Clash to finish this one! Backstage, Apollo Crews is talking with Raw General Manager Mick Foley and Raw Commissioner Stephanie McMahon. Seth Rollins walks out an aisle entrance in the empty arena from earlier today. “Night after night, I would walk down these stairs, with my fellow Shield members Dean Ambrose and Roman Reigns, and they thought we were on our way to conquering the world together; but the truth is, they were just pawns in my game, sacrifices, waiting to be made on my path to achieving my ultimate goal of winning the WWE Championship. Now like any great mind, I’m always two steps ahead. I adapt, I control. I kept Dean Ambrose around to take the beatings; I kept Roman Reigns around to dish them out. And when the time came, I cut my losses, and achieved my dream of becoming WWE Champion. And then my knee caved, under the pressure of carrying this company on my back. And when that happened, Roman Reigns rose, to become the top-dog in WWE; while the top-dog returns at Battleground. But the questions remain – ‘has he lost his edge?’ ‘Has his confidence been shaken?’ ‘How will the WWE Universe accept him?’ And I don’t know, but believe me, Roman Reigns will never be the same. And Dean Ambrose, Dean Ambrose is a ‘thief.’ Dean Ambrose is a ‘coward.’ Recovering from my injury, I worked harder than any human on planet Earth. I came back at Money In The Bank, won back the title that I never lost, and Dean Ambrose had the nerve to sneak-up from behind me, cash in his Money In The Bank Contract, and steal my title, steal my moment, steal a piece of my life! A replay of the General Managers being picked is shown. Breezango – Tyler Breeze and Fandango – are trying to charm Raw GM Foley when Shane walks up. He inquires Mick as to why he is working with Stephanie. The Hall of Famer says that he was inspired by Stephanie’s enthusiasm for being the best, and that is what he claims he will be like. Cara tries a little, but Baron dominates this one, and completes the bout with End of Days. Post-match, Corbin continues to attack Sin, until Kalisto runs out and attempts to save. He is also quickly put to the floor with a hard clothesline, and Baron walks up the ramp. Unfortunately, this one doesn’t get too far as Natalya attacks Lynch on the outside, causing a dq. Post-match, Natalya, Dana, and Charlotte lay out Banks and Lynch. In the hallway, Kane is talking with two men he has a lot of history with, Daniel Bryan and Shane McMahon. A shaky, faded picture from a video camera appears, and it is WWE Champion Dean Ambrose as the camera pans up. “Citizens of the WWE Universe, hahaha, years ago I looked into a camera just like this and I told you to ‘open your eyes,’ and watch The Shield carve a path of destruction that would change the course of history, and we did. Better yet, I changed the course of history when I cashed in my Money In The Bank contract on Seth Rollins, and I pinned him one-two-three, and I became the WWE Champion. Sheamus and Ryder begin with a lockup, and go back-and-forth. Sheamus picks up Zack, but “Long Island Iced-Z” slides out but is put to the floor soon after, and given a rolling fireman’s carry. In the ring, Sheamus kicks Ryder hard and slams him to the canvas. He suplexes, but Zack shifts and drops Sheamus with a neckbreaker! Both tag, and Dolph clotheslines and splashes Rusev! He kicks him and plants with the Fameasser; Sheamus stops the count, but Ryder clotheslines him to the floor. Rusev regains and kicks Ziggler down, and then forces him to give-in to The Accolade! Post-match, Ryder checks on Dolph and then glares at Rusev, and they both egg each other on. Randy Orton’s career highlights play, and he will return at SummerSlam! John Cena’s hosting job at ESPN’s Espy Awards is aired. The Ascension – Konnor and Viktor – are trying to persuade Raw G.M. Mick to join them; Smackdown G.M. Bryan walks up and the two talk it out, comparing themselves to each other, and then saying they will both outdo the other. WWE Champion Dean Ambrose makes his entrance to defend his title, next! (Note: Both Commissioners and G.M.s are ringside.) After formal introductions, the two circle each other and lockup. They trade holds, and Dean snapmares for one; Rollins goes to the apron for a break. Ambrose twists Seth’s arm and takes him down with a side headlock. Rollins clamps one on too, but is armdragged a couple of times; he goes to the outside for another rest. Seth corners Dean in the ring and kicks away, but is put to the floor with a clothesline! “The Lunatic Fringe” hits a couple of more clotheslines from the apron as well. Rollins is now governing, whipping Ambrose hard into the turnbuckles. He rips Ambrose’s fingers and stomps, and then snapmares and kicks him in the back. Seth wears down Dean with a grounding rear-chinlock, but the WWE Champion battles out. Rollins flatlines him into the second turnbuckle for a near-fall! Seth punches Dean on the outside, and goes back into he ring and almost gets this with a couple of covers! They both run at each other and hit with a double-crossbody! The WWE Champ is gaining some momentum, quickly punching and clotheslining! He fisherman-suplexes Seth for two, and they both go to and fro with pinning combinations! Ambrose measures Rollins, but is met with a jumping-calf-kick. Seth tries The Pedigree, but Dean backdrops him, and puts him to the outside. Ambrose looks on and rockets through the ropes with a dive! Rollins hits back with a running-powerbomb into the barricade and then dives off the top turnbuckle with a frogsplash into the ring! 1 – 2 – Dean raises his shoulder! Seth attempts The Pedigree again, but Ambrose reverses into a slingshot! Rollins lands on his feet on the turnbuckle and leaps off with a knee-to-the-face! He goes to the other turnbuckle and soars off again with a frogsplash, but Dean moves! Ambrose is pushed into the corner, and Rollins hits a couple of running-forearms! Dean tries one of his own, but is countered. Seth gives him another running-powerbomb, but Ambrose hits back with his Dirty Deeds DDT! 1 – 2 – Rollins places his foot on the ropes! The WWE Champion yells something at Foley, and then tears apart the announcers’ table! He puts Seth on their and stands on the corner of the barricade, but Rollins moves! In the ring, they counter each other again, and Seth manages to drive Dean with The Pedigree! 1 – 2 – 2 ½ – Ambrose gets his shoulder up! Both battle in the corner, and referee Chad Patton is hit. Seth superplexes Dean from the top turnbuckle and both tie each other up with both their shoulders to the canvas for the victory! Post-match, Stephanie believes Seth has won, but Foley, Daniel, and Shane all argue. Steph grabs the microphone and WWE Championship from Lillian Garcia, and pronounces Rollins the WWE Champion! He holds the title high and backs up the ramp while Steph, Foley, and Shane argue; Dean looks on as the show closes. Until Smackdown!, Be Excellent Wrestling-Online Fans!